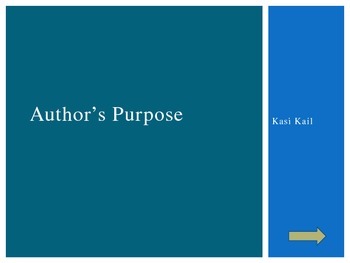 I created this Author's Purpose PowerPoint presentation to correspond with third grade Common Core Standards. 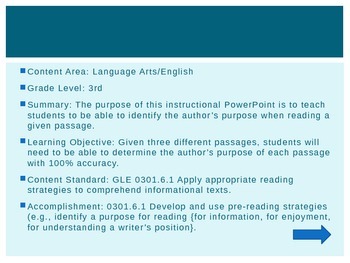 However, this presentation would be appropriate for grades 3-5. 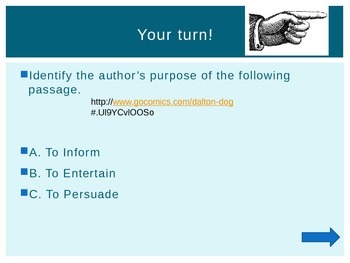 It features action buttons and hyperlinks to sample passages. 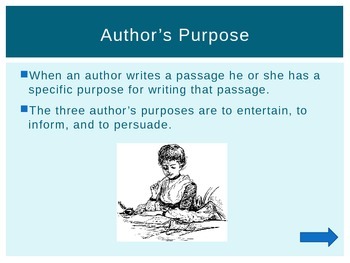 Students must read the passage and choose the author's purpose of that particular passage. The presentation features interactive answers that make sounds corresponding to whether you choose a correct or incorrect answer.